Outgoing and generous of heart, Vivian "Becky" Dunklee lived a life rich in family and friends. A loving wife, devoted mother, and proud grandmother, Becky embraced her roles with honor and enthusiasm leading her family by example and celebrating each day as a gift. Cherished by many, Becky’s beautiful life will long inspire those who knew her best. Despite the obvious gloom of the Great Depression, 1930 beheld a power of hope that undulated in the hearts of many. With a natural drive to not just endure but thrive in the face of uncertainty, the nation continued to put one foot in front of the other to build a better future. Nowhere was there a greater sense of hope than in Allegan, MI as Mid & Laura (Robar) LaFountain welcomed their daughter Becky into their hearts and home on January 13, 1930. Growing up on the muck farms in Orangeville, from the very beginning, Becky knew the importance of family, resourcefulness, and hard work. Born the 12th of the LaFountain’s 17 children, she grew up in a home that was full of life and rich in French traditions (including her famous French temper). Her parents only spoke French and spent much of their time working the farms. Becky attended school through the 8th grade in Orangeville. Then she worked on the farm and in the greenhouses. At the age of 17, she was caught stealing ice off a wagon by a local young man who offered to keep her secret if she agreed to go out with him. Recognizing a good deal, Becky enthusiastically agreed to his offer. That date quickly turned into a courtship. 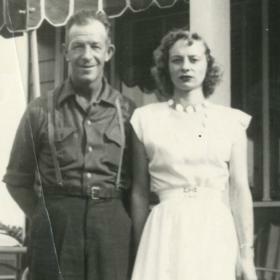 In July of 1947, Becky married that young man and became Mrs. Ken Dunklee. The happy couple began their marriage living with and caring for Ken’s mother.  In time, they were blessed to welcome six children into their family. Becky worked to provide their sons, Sonnie, Warren, Steve, Jerry, Stanley, and Tim, with a loving home centered in the same family values she had grown up with. She nourished them with her fantastic cooking including her famous chicken and dumplings, chicken and noodles, and potato salad. Her cinnamon rolls were unrivaled. The family often fought over them and even took to hiding them! One of the family’s long-treasured tales of Becky’s cooking is of the time she accidentally grabbed the orange juice instead of the milk while making tomato soup, but didn’t realize she’d done so until sitting down to supper. She made sure everyone knew that the mistake was the result of her husband having moved the milk and orange juice around in the refrigerator. For 21 years Becky and Ken enjoyed one another’s good company. 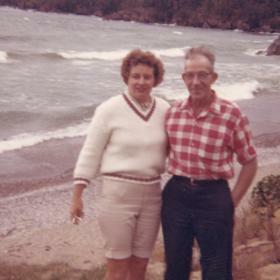 During these years they loaded up the station wagon and took a family vacation to Niagara Falls and a trip to Munising in the Upper Penninsula. In 1968, Ken passed away. While Ken was in the hospital for cancer treatment in Ann Arbor, Becky met Norman Phillips whose brother was Ken’s roommate at the time. She and Ken quickly established a friendship which in turn led to their marriage in 1968. Becky continued to work in greenhouses, and she loved to garden. She also enjoyed a good yard sale! After Norm passed away in 1997, Becky spent many years enjoying the good company of her children, grandchildren, and friends. She loved listening to classic country and western songs, watching the Grand Ole Opry and Hee Haw, and working in her yard. 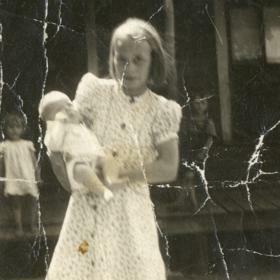 Her favorite week of the summer was the week all her grandkids would come to stay. She relished in being surrounded by them and especially getting to take them to the zoo. Without a doubt, family was Becky’s greatest joy. 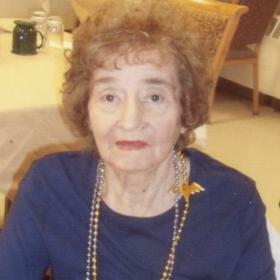 She cherished any time spent with her loved ones especially celebrating holidays and every other week visits. With a heart that knew no bounds, in May 2005, Becky married her brother-in-law, Francis Dunklee, after his wife passed away. The couple enjoyed one another’s good company for the next twelve years until Francis passed away in 2017. Clearly, it is difficult to imagine life in the absence of Becky’s steadfast and loving presence. May the gift of having had the privilege of knowing Becky provide deep comfort. May it also provide comfort to know that we carry the very best of Becky’s legacy in each of our own lives. As we share our memories of this good woman, we keep her spirit alive and inspiring others as she so inspired us. Vivian “Becky” Dunklee, age 89, of Martin, passed away on April 4, 2019. Becky was born on January 13, 1930, to Mid & Laura (Robar) LaFountain. Visit with her family and friends and view her life story film on Tuesday, April 9 from 4:00 p.m. to 7:00 p.m. at the McCowen & Secord Funeral Home Marshall & Gren Chapel; 120 S. Woodhams St. Plainwell, MI 49080. A funeral service will be held on Wednesday, April 10 at 11:00 a.m. at the same location. 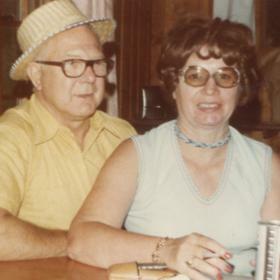 Becky’s family includes her children: Steve Dunklee: Jerry (Rebecca) Dunklee and Tim (Julie) Dunklee; 12 grandchildren; 8 great-grandchildren; her brother Ed (Eve) LaFountain as well as several nieces and nephews. Becky was preceded in death by her parents; her husbands: Kenneth C. Dunklee (1968), Norman A. Phillips (1997) and Francis Dunklee (2017); her children: Kenneth Carl Dunklee Jr., Warren E. Dunklee and Stanley R. Dunklee; two grandchildren Kenneth C. Dunklee and Daniel L. Dunklee; her siblings: Merle LaFountain, Norman LaFountain, Lee LaFountain, Leo LaFountain, Owen LaFountain, Raymond LaFountain, Joe LaFountain, Hazel Ginabaugh, Ruth Stafford, Evelyn Coriell, Iveda Leroy, Dorothy Bradshaw and Joann Parkerson. 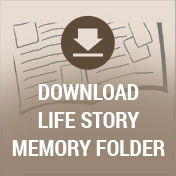 Please visit Becky’s memory page at www.mccowensecord.com where you can read her life story, archive a memory or photo and sign her memory book online. Memorial donations can be made to the family or the Cancer Research Institute.